What do you get within a D-Stress & Go Inter-Active Relaxation Area? D-Stress & Go (UK) Ltd provide an Inter-Active Sponsorship opportunity with our Relaxation areas across the UK and Europe. We work to produce a bespoke campaign to match the sponsors specific objectives. We create the focal networking point and ultimate visitor attraction you can be guaranteed of your Return of Investment with maximum lead generation, leaflet distribution and VIP’s/delegates/visitors in the best possible frame of mind creating that memorable moment! There are several options to fit any goal or budget and the cost is dependent on the area allocated and how many D-Stress & Go team members are involved. What is involved? 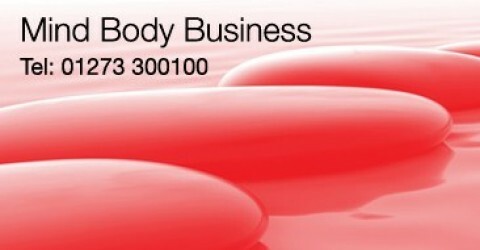 Within your VIP relaxation area, D Stress & Go manage a team of professional, fully qualified/insured therapists plus stand managers experienced in sales, which provide your sponsor (or sponsors) with mass exposure via extra directed footfall, t-shirt branding and targeted literature distribution. It is the focal networking point for all visitors. A unique opportunity to createa memorable moment. Happy relaxed visitors – who stay longer on your stand. An Interactive way to increase your exposure and a proven way to grow your business. Guaranteed of your Return Of Investment with maximum lead generation. Looking to launch a new product, achieve brand awareness across the entire industry or highlight a special offer or deal there are several options for this package to fit any goal or budget. Stats prove that over a 3 day event approximately The Relaxation Area can generate 1,200 qualified leads! Opportunities available are:- Collecting Visitor Data – Visitor Feedback Forms – Directing Visitors to Sponsors Stand – Creating VIP Treatment, Distributing Literature – Wearing Branded TO-Shirts – Distributing Freebies – Trying Products – Verbal Sponsor Promotion, Plus the usual branding of the stand…..VIP’s/delegates/visitors in the best possible frame of mind creating that memorable moment!